Discover islands, lighthouses and the beauty of sailing as you bask in the sun and salt air aboard the traditional schooner, Argia. This unique trip aboard one of the last sailing ships in New England offers you an ideal way to see the quaint maritime village of Mystic CT and its beautiful shoreline. Step aboard for a journey into the past. Depart from Mystic's historic Bascule Bridge, a national historic landmark, and sail down the Mystic River. Morgan Point Lighthouse and the quaint fishing village of Noank greet you at the river’s mouth, followed by islands and peaceful sailing. Snacks and lemonade are provided and you may bring your own beer or wine. 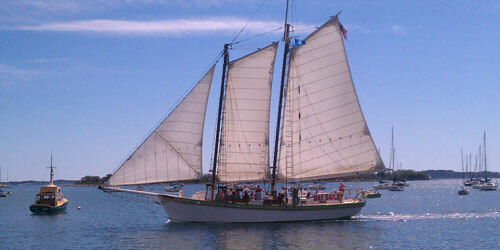 May 1st through late mid-October, choose a day or sunset cruise aboard ARGIA! Whether fishing or sightseeing, sailing on the Black Hawk means fun! No vacation at the shore is complete without a day spent reeling in the big ones. When you ready to enjoy deep-sea fishing, board the Black Hawk in Niantic, Connecticut. Powered by twin 750 horse power diesels, she's one of the fastest boats of her kind in New England. She is also U.S. Coast Guard inspected every year. 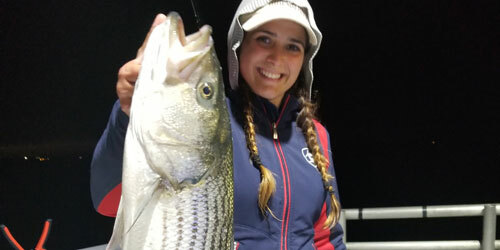 Our experienced captains know where to find blue fish, porgies, cod, striped bass, sea bass, and other fish you'll enjoy catching. We also offer sightseeing trip from time to time. Watch Fourth of July fireworks from our deck, or let us take you where you can watch dolphins and seals sport and play. Schedule your own trip for a child's birthday party or a reunion with friends. 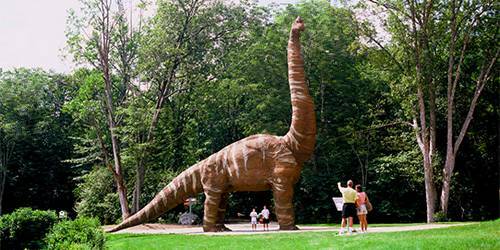 Children and adults will discover a wealth of fun and excitement at The Dinosaur Place at Nature’s Art Village. You’ll find a 60 acre outdoor adventure park with over 40 life-sized dinosaurs spread among a mile and a half of pristine nature trails. Children will love getting lost in a”MAZE”asaurus and playing on Monty’s playground featuring the SpaceNet, a 15 foot tall three-dimensional swinging, vibrating, climbing web. During the summer, cool off in New England’s largest SplashPad. Indoor adventures await in Discovery Depot at Nature’s Art Village where guests can dig for gems, pan for “gold” and unearth dinosaur bones. Plan an indoor or outdoor birthday party, scout, school or recreational group outing. 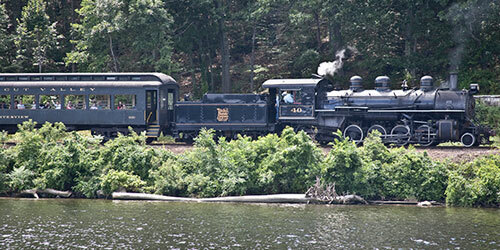 Gather family and friends for a sightseeing adventure aboard the only steam train and riverboat connection in the United States! This 2½-hour narrated journey explores the nature and beauty of the Connecticut River Valley, designated as one of “the last great places on Earth” by The Nature Conservancy. View historic sites such as Gillette Castle and the Goodspeed Opera House. Excursions begin and end at the historic 1892 Essex station. Rain or shine. At Mystic Aquarium, meet New England’s only beluga whales. 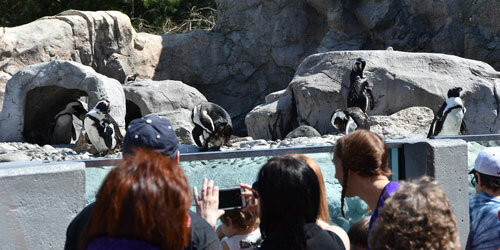 See over 300 species in both indoor and outdoor exhibits including African penguins, seals, sharks and fish galore. Discover extraordinary animals including 30 different amphibian species in ‘frogs!’ or some of nature’s most outrageously bizarre animals in ‘Weird & Wonderful’. And in ‘Jurassic Giants: A Dinosaur Adventure’, you’ll encounter breathing, clawing, roaring dinosaurs that practically come to life! Daily complimentary sea lion shows provide a truly unique opportunity to see these fascinating animals up-close and in action. Plus, with a robust schedule of shows in our two theaters, seasonal events and activities, Mystic Aquarium is a year-round destination worth revisiting often. Learn more at MysticAquarium.org. SEA more at Mystic Aquarium! 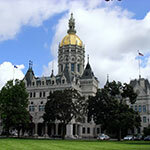 Visit Slater Memorial Museum in Norwich, Conn. and explore peoples and culture though 35 centuries and five continents. Created though a gift by philanthropist William A. Slater more than a century ago, this stunning example of Romanesque Revival style architecture popularized by H. H. Richardson was executed by Stephen C. Earle. 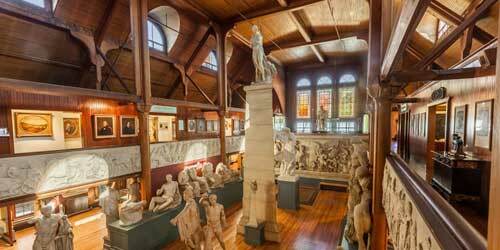 The museum is set on the campus of Norwich Free Academy in Norwich CT and showcases a diverse collection of fine and decorative art, plaster replicas of sculpture from the ancient world, and historical artifacts. The collection continues to grow through gifts from Norwich citizens and NFA alumni. Enjoy an interpreter-guided tour -- free with admission – permanent and changing exhibits, events, and unique gifts at the Slater Museum shop. 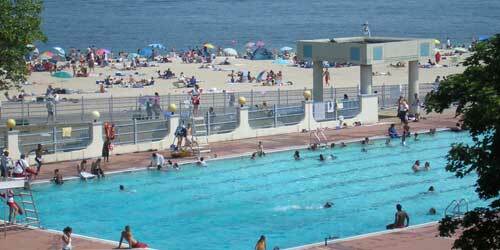 Right away, you’ll notice the bustling boardwalk and beautiful sugar-sand beach at Ocean Beach Park. But, keep looking: An amusement park features old-time-favorite kiddie and adult rides. There are triple waterslides for the truly daring and a sprayground for the little ones. Test your skills at the 18-hole mini golf course or in the old-fashioned arcade. Relax in the Olympic-size pool, go for a stroll on the nature walk overlooking Alewife Cove, get in a workout at the health club, or make use of the picnic area. Entertainment ranges from magicians and fireworks to movies, bands, DJs and antique car cruises. Parking fees (includes park admission): Weekends $23, Weekdays $17, Weeknights after 6pm $8, Fireworks Evenings $10. Seasonal parking passes available. Walk-in Admission $6. Permanent exhibits on the Native and natural history of southern New England include a cool descent into a glacial crevasse from 18,000 years ago. Walk through a 1550 Pequot Village. Interactive computer programs, films providing additional information and interpretation of the exhibits. 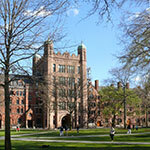 Two research libraries, one for children. Museum store and restaurant. Hours: Wednesday-Saturday, 9 a.m.-5 p.m.; last admission at 4 p.m. 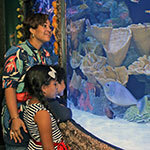 Admission: Adults, $15; seniors, $13; children age 6-15, $10; under 6 free. Information: www.pequotmuseum.org.